Silkscreened and hand-painted laminated glass on wall, paper. 110 x 78 cm c/u each piece of glass. Fabricated by Franz Mayer of Munich. 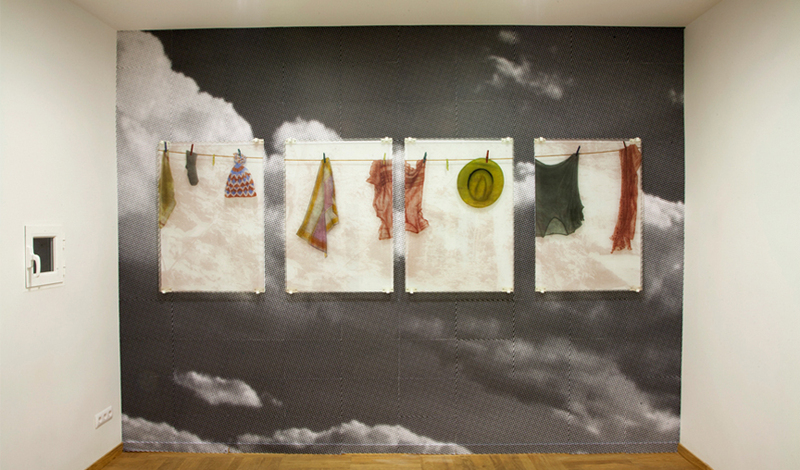 Installation view at Slowtrack, Madrid. 2014.